In October 2017, Donald Trump’s administration declared opioid abuse and addiction in America a public health crisis. The announcement included a list of efforts that could help combat the crisis, including education campaigns and treatment facilities. However, Trump’s own words on the deaths from opioid abuse repeatedly return to one topic: The wall he asserts must be built between Mexico and the United States. The President has repeatedly asserted that this wall will prevent illegal drugs from entering the country. However, as Hill Reporter noted last month, the DEA’s own reports say that only a tiny percentage of heroin enters the U.S. in these unwalled areas, with most coming in through ports of entry. Aside from that particular false claim, it’s broadly true that much of the heroin entering the United States comes from Mexico, and that much of the fentanyl supply is routed through Mexico (after being manufactured in China), these illegal drugs are the tip of the iceberg in the opioid crisis. The true start of the epidemic and a major driver is legal opioids (prescribed at rates as high as 66 prescriptions per 100 people and involved in 40% of the opioid deaths in the U.S. in 2016, according to MoveForward, and the capitalist drive to promote them. Drug manufacturers have misled medical professionals and the public in order to sell more; doctors have prescribed medications outside real indication, and politicians have accepted campaign contributions and actively fought for these corporations and against the well-being of their constituents, to continue lining pockets. What follows are just a few of the individuals and corporations whose financial decisions, business practices, and political decisions have driven the opioid crisis — and none of them will be stopped by a wall. In 2017, Esquire profiled the Sackler family, and their pharmaceutical fortune. Arthur died in 1987, years before Purdue Pharma would bring OxyContin to the American market, but his influence cannot be overlooked — he was known for his mastery of marketing practices, which in the 1960s made Valium the first prescription drug in the U.S. to reach more than $100 million in sales. How did he do it? By exaggerating the uses of the drug, promoting marketing practices that hinted it would ease the stress that caused numerous other medical problems, like heartburn and insomnia. This advertising style would carry over to other drugs, ensuring high prescription rates and consumer interest. Arthur’s brothers, Raymond and Mortimer, earn their own entry for carrying on the legacy. After Arthur died, his brothers bought out his share of Purdue (his daughter has disavowed the profits and promotion of Oxycontin, saying, “Neither I, nor my siblings, nor my children have ever had ownership in or any benefit whatsoever from Purdue Pharma or OxyContin,”) and continued. As Esquire put it, “vehicle of [the Sacklers’] fortune was OxyContin, but its engine, the driving power that made them so many billions, was not so much the drug itself as it was Arthur’s original marketing insight,” and it was Raymond and Mortimer who would apply these tricks to pain relief. Mortimer was heading Napp Pharmaceuticals, in the UK, when the company was approached with the idea of a time-release morphine pill, which would be called the “contin system.” In the U.S., it would be introduced as MS Contin and would be hailed for its value for cancer patients, and for chronic pain sufferers. We’re not done with the Sackler family yet. Raymond’s son Richard would put Arthur’s old marketing style to use, working to come up with some new application for MS Contin. A former director of product management for Purdue said that Arthur “didn’t always wait for the research results” before promoting a new line of advertising for the product. In 2007, Purdue pled guilty to ‘misbranding’ OxyContin — a drug that would follow MS Contin, as a time-release form of Oxycodone. The New York Times reported that the company released a statement, admitting that “…some employees made, or told other employees to make, certain statements about OxyContin to some health care professionals that were inconsistent with the F.D.A.-approved prescribing information for OxyContin and the express warnings it contained about risks associated with the medicine…” and paid $600 million in fines. More specifically, the company admitted that sales reps used falsified charts to prove that the time-release mechanism made the medicine less susceptible to abuse. They promoted this as fact, though the FDA had only approved the claim that the mechanism “is believed to” reduce the risk of addiction and abuse – not that it had been affirmatively proven. Though Purdue faced charges for their marketing practices, the company isn’t alone. The Esquire piece linked above describes some of the perks and gifts doctors were given; ranging from trips to payments for speaking events, and notes these were already typical of the pharmaceutical marketing business. In fact, as spending on marketing increases, we see a correlation (though causation cannot be definitively affirmed) between the marketing of pain meds and the opioid crisis. As reported by the Guardian, the areas associated with higher levels of opiod marketing had higher prescription opiod rates — and higher rates of abuse of prescription opioids. The FDA has had an undeniable role in failing to curtail the overmarketing of OxyContin and protecting the public from misleading claims. Marketplace, examining court documents and depositions, noted that a key sentence in the drug’s packaging and marketing is a subject of much contention. Delayed absorption as provided by OxyContin tablets, is believed to reduce the abuse liability of a drug. In depositions, company executives and FDA officials all express uncertainty about exactly who added this sentence, which would be instrumental in marketing Oxy as a preferred option for pain management. Robert Reder, Purdue’s former vice president of medical affairs and worldwide safety, asserts in one deposition that he’s pretty sure the FDA added that. Curtis Wright, the agent who approved the final copy for the package insert, wouldn’t confirm who might have written the line. He later left the FDA to work for another pharmaceutical company, then was hired at Purdue. Meanwhile, in 2013, the FDA would go on to ban generic versions of the drug — citing safety reasons, but effectively allowing Purdue to continue as the only provider. The Sacklers, listed above, are known less, publicly, for their drug companies than for their philanthropy. Cultural and educational institutions rely on donations that build new wings, provide exhibits or cover costs. However, these donations, in turn, provide a kind of notoriety and insulation for the giver. As such, there has been some push from the public for universities and museums to handle philanthropic gifts differently — with some specific emphasis on the Sackler name. Nonprofit Quarterly reported last year on a protest that involved scattering pill bottles in the Sackler wing at New York’s Metropolitan Museum of Art, with protesters demanding that the family, and Purdue, provide funding to counter the epidemic. Following the protest, op-eds in The Crimson called on Harvard to disavow the family publicly, and cease accepting money from the Arthur M. Sackler Foundation. The issue of political donations affecting elections, and influencing how elected officials vote, is far bigger than the Sacklers, bigger than for-profit medicine, bigger than the opioid epidemic, but is definitely relevant here. Open Secrets has a list of House and Senate candidates Purdue’s PAC funded in the 2016, election: Democrat G.K. Butterfield and Republicans Gus Bilirakis, Michael Burgess, Tom Cole, Kevin Cramer, Darrell Issa, Robert Latta, Dan Coats, and Tim Scott at an amount of $1,000 each, and Republican Thom Tillis in the amount of $10k. Individual Sackler family members have donated to a variety of candidates, across party lines. It’s impossible to track the exact effects of these donations, but undeniable, on a large scale, that politicians have, in turn, made things easier for drug companies. This brings up the next entity whose hard work has helped fuel the opioid epidemic: Congress. U.S. legislators are responsible for drafting and passing the laws that protect the American people. Instead, influenced by lobbyists, personal agendas, and political support, they all-too-often instead pass laws that protect big business and their own interests, at the expense of the average citizen. The Washington Post reported in October 2017 on such a piece of legislation. Representative Tom Marino and Senator Orrin Hatch, among others, worked to pass the Ensuring Patient Access and Effective Drug Enforcement Act. Despite the friendly-sounding name that suggests prevention of illegal drug trafficking while protecting access to patients in actual need, the ultimate effect, according to DEA Chief Administrative Law Judge John J. Mulrooney II, was to decrease the authority of the DEA, making it “all but logically impossible” to hold drug companies responsible for failure to follow Federal law. Among other things, the law made it harder to freeze drug shipments under suspicion — changing the requirement from the evidence of “imminent danger” to the community to “immediate threat” — something far harder to prove. Barber is another transplant who moved from government employment to work for a pharmaceutical company. As the DEA’s associate chief counsel, he was uniquely aware of the enforcement plans that would address one of the opioid problems: Suspicious orders of narcotics should have been reported by companies, but instead, a company might choose to simply ship the drugs, instead of potentially forgoing profits. In 2011, Barber went to work as a Director of DEA Compliance Practice for Quarles & Brady, and now serves as Chief Regulatory Counsel for Cardinal Health. A Justice Department email credits him as the author of “the Marino Bill” — the law described above. Mentioned above, Tom Marino earns his own entry for the very level of dedication he showed the drug lobby. He introduced the bill in question in 2014, to immediate resistance from the DEA. He pressured the Justice Department to meet with executives in the drug industry, with his chief of staff naming a specific individual the Justice Department should work with: Linden Barber. In 2017, President Donald Trump nominated Marino to lead the White House Office of National Drug Control Policy, a move that NPR reports was not well recieved by the DEA. Marino withdrew his name from consideration. In January 2019 he announced his intention to resign the seat to which he’d been newly re-elected, to take a private-sector job. Owned by the Sackler family — yes, the same Sackler family — Mundipharma is picking up where Purdue left off. Vox wrote in 2016 that, as sales of Oxycontin fell in the U.S., the network of interconnected companies was making up the loss by pushing the drug in Africa, Asia, the Middle East, and Central and South America. They’re reportedly working on doctors in the same high-pressure ways that worked so well in the United States: Claiming that ‘opiophobia’ is wrongly preventing doctors from prescribing pain meds, and offering patient discounts to introduce the drug. 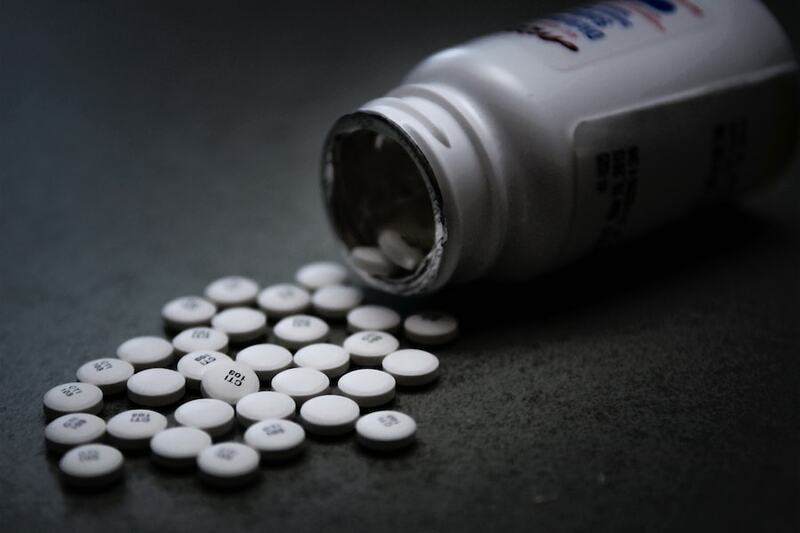 According to the Nikkei Asian Review, China has become the second-largest market for prescription opioids, and Mundipharma Chief Executive Raman Singh says he hopes to see the market there surpass the U.S.
Doctors who prescribe indiscriminately, or overprescribe without medical justification, are commonly referred to as ‘pill mills,’ and they’re another part of the problem. In 2016, Healthline reported on the arrest and prosecution of some physicians accused of this, with charges ranging from Medicaid fraud to murder, when a patient overdosed on prescribed meds. Health Affairs has warned against the urge to treat addiction as criminal behavior. The tendency to do so, instead of helping end the crisis, may make things worse, as it makes it more frightening for an addict to seek treatment, and adds stigma and shame to addiction. When addicts are relegated to the darkest corners, they don’t have the support networks and social connections necessary to seek help and make the choices that help escape addiction. This is another problem that is significant on its own, but has a huge overlap with the drug abuse crisis. In the United States, access to mental health care is a struggle for many. From struggles to afford care without insurance to a social stigma that may make seeking care frightening or risky, many Americans still can’t access basic mental health care. MD Magazine covered the correlation between depression diagnoses and opioid overdoses, noting that counties with lower access to mental health care are also counties with high numbers of deaths from opioid abuse. If we want to beat the opioid crisis, we have a lot of work to do. Many of the causes of this problem won’t be touched by a border wall. Instead, focuses on decriminalization of addiction, regulation of drug marketing, access to care for addiction and mental illness, and regulation of big business lobbyists’ influence on politicians would all be more directly influential on some of these driving causes.